PICTURED: Photos from the 160 Hero tribute Workouts that have been posted on the main site, CrossFit.com. If you look through the official list of Hero tribute WODs on the FAQ page of CrossFit.com, (Explain The Hero Workouts), you will find an extensive list. There are currently 160 Hero tribute WODs listed on the FAQ page of CrossFit.com, honoring 169 fallen Heroes. Since this time last year, there have been eighteen Hero tribute WODs added to that list. Remember. There is a reason why those Hero tribute workouts were created. Because someone lost their life to help ensure that we have ours. 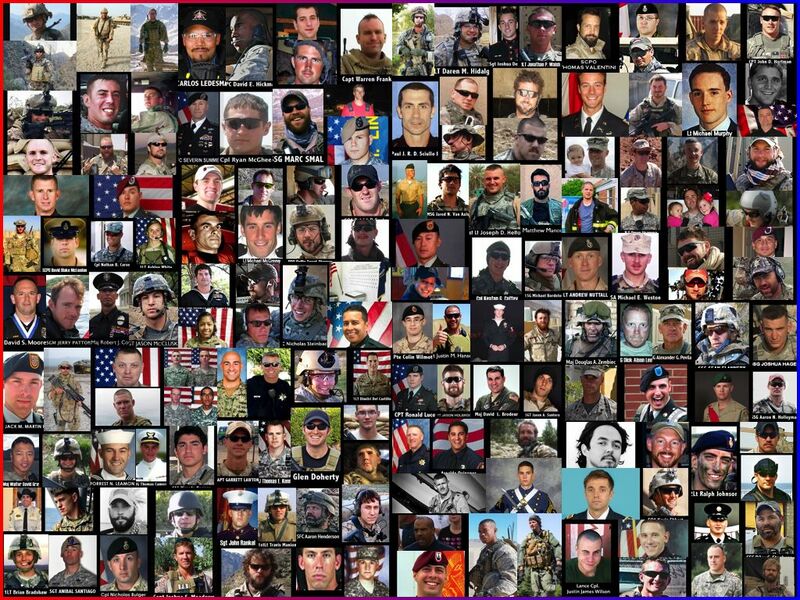 While we will officially be doing the Hero tribute WOD, “Murph”, created in memory of Navy Lieutenant Michael Murphy, 29, of Patchogue, NY, who was killed in Afghanistan June 28th, 2005, tomorrow for our Memorial Day class workout at 9:00 am, he is not the only fallen soldier we honor tomorrow. We will be honoring every soldier who has lost their their life or been MIA while in the line of duty. Not just Lieutenant Michael Murphy or those who happen to have a workout named after them. We will officially be running MURPH, but if there is another Hero you want to honor, you can most certainly do so. Freedom isn’t free. Every day is Memorial Day.